PREVENTS CORROSION IN WATER SYSTEMS. 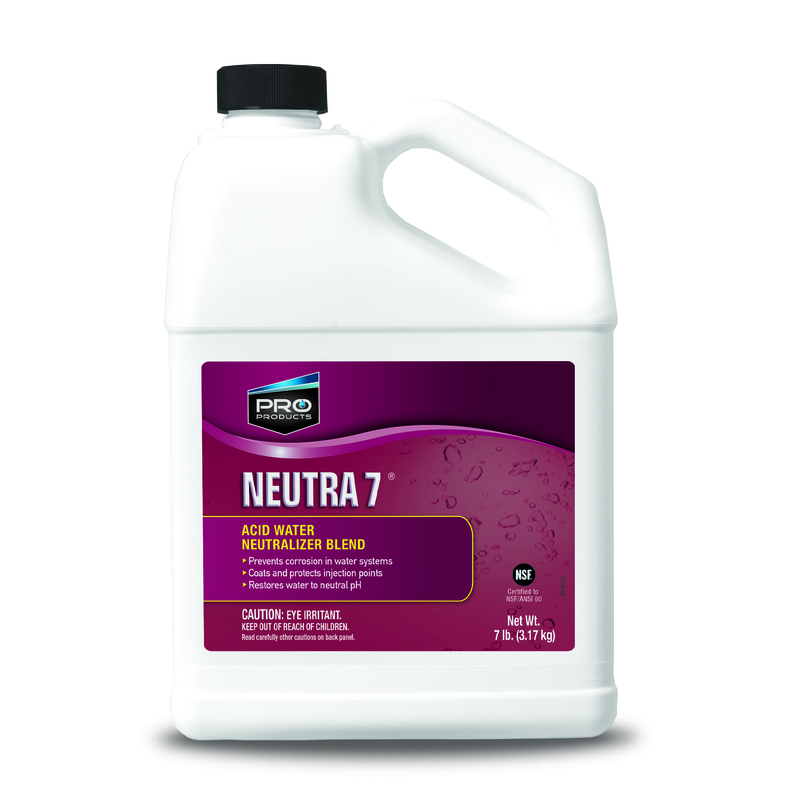 Pro Neutra 7 is a proprietary alkaline compound blend which eliminates acid water in potable systems and keeps the injection point clean of build-up. This helps eliminate corrosion from piping, pressure tanks, water heaters and fixtures. 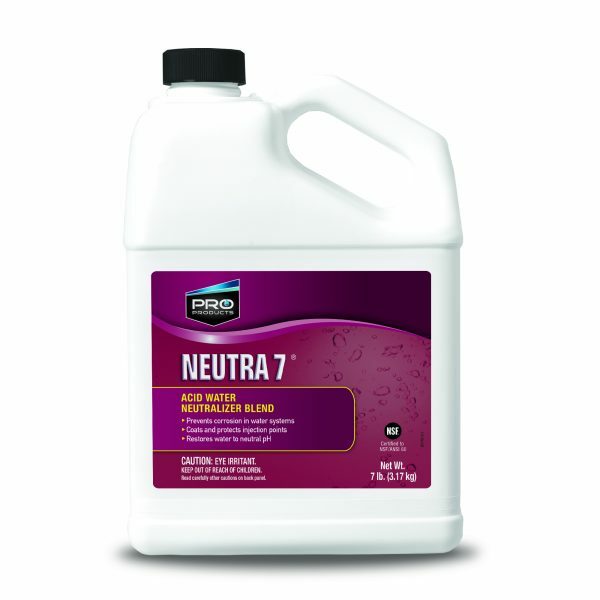 A Pro Neutra 7 solution injected into a water system will eliminate acid water and prevent corrosion. 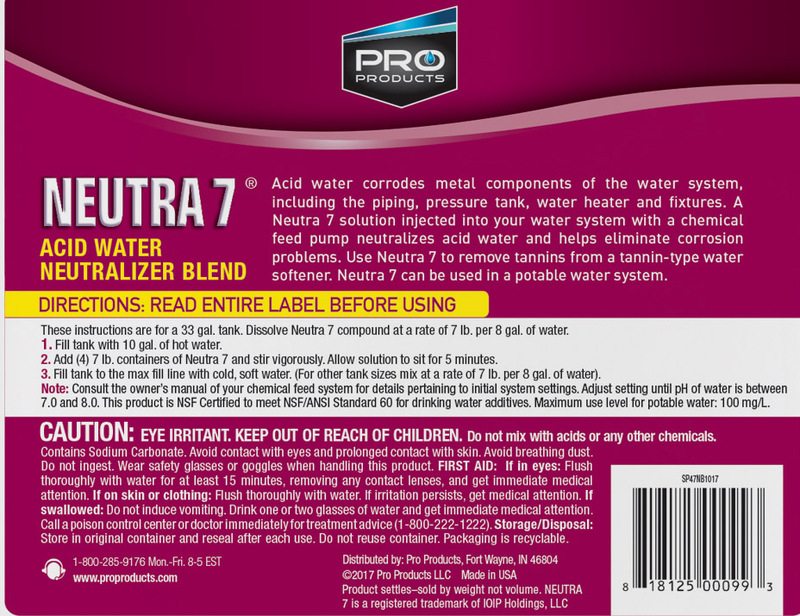 Pro Neutra 7 is NSF Certified to meet NSF/ANSI Standard 60 for drinking water additives. Available in 7 lb. and 40 lb. sizes. Acid Water Neutralization: The feed rate depends on the acidity of water. Proper dosage is reached when the pH of the treated water is between 7.0 and 8.0. Follow procedure for injecting soda ash into your water system by the chemical feed pump manufacturer or supplier. Tannin Water Softener Cleaning: Mix 1 cup of Neutra 7 with 1 quart of water and pour into salt storage tank on a weekly basis. *Note: Not for use before Reverse Osmosis Membrane or iron filter system.